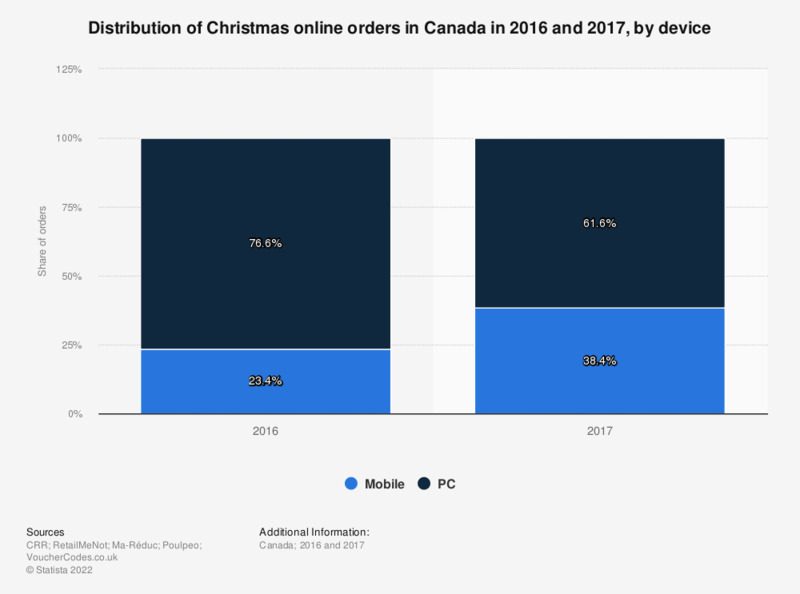 This statistic presents the distribution of Christmas online orders in Canada in 2016 and 2017, broken down by device. During the survey period, Christmas online orders made via mobile increased from 23.4 percent in 2016 to 38.4 percent in 2017. The source does not provide information on the exact survey date and sample number. The date of publication was not provided; the date used is when the data was accessed.